Under political fire and ecologists’ ire, the group hires Suhel Seth, who will work closely with the promoters and the social media, corporate communications and external public relations team. It is image makeover time for Adani Group, one of the country’s largest business conglomerates. The Gautam Adani-led entity is redesigning its communication strategy and planning a redo of its brand image. Part of this is the recent hiring of Suhel Seth, a known name in this segment, to be brand consultant. The group has a presence in ports, power, realty and foods. And, has been at the receiving end, both from opposition parties in India (it is seen as close to the ruling party in India) and environmentalists abroad. The latter since its coal mining and transportation projects in Australia are seen as harming the Great Barrier Reef. Seth, in the business of brand building, had also been consulted by Tata Group during its management crisis in 2016; he helped rebuild their brand. Sources said Seth is to work closely with the promoters and the social media, corporate communications and external public relations team. Calls made to him by this publication did not get a response. "The last decade was unprecedented for the (Adani) Group in terms of growth. However, this wasn't projected well. Be it criticism or achievements, the group's communication never responded well. This hampered the brand building," said a source who did not wish to be identified. 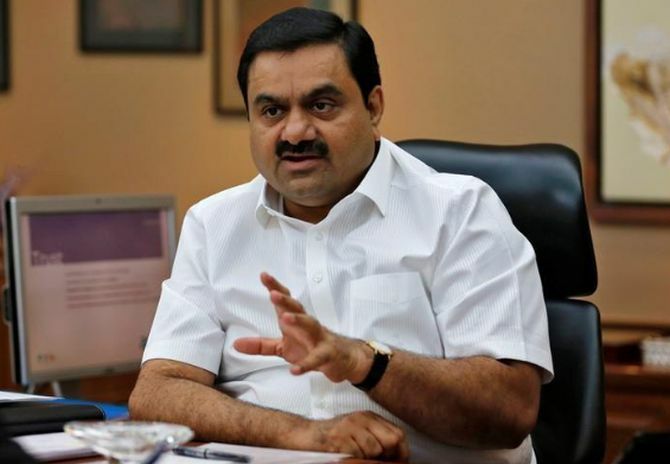 An e-mail query to the Adani Group on Wednesday remained unanswered. Adani has faced a lot of criticism for its coal mining and railways project at Queensland, Australia. In December, Adani's proposed Carmichael mine there was listed at fifth position in a global compilation by environmentalists of ‘Dirty Dozen’ projects that put the goal of keeping global warming under 1.5 degrees Celsius under threat. And, undermine the efforts made by last December’s ‘One Planet Summit’, convened in Paris with the help of the United Nations. "For any conglomerate, positive branding is important, right from the hiring part, the financing and supplier network. It is important the brand conveys the right image," said Harish H V, partner at global accountancy entity Grant Thornton. This is true for Adani, which has struggled to find financers for its Australia project. Globally, banks have been under pressure to not fund coal projects. Also, for the first time ever, Adani Group has set up a team of professionals to coordinate and liaise with the media and for government dialogue in Delhi. Till now, their communications team was at the corporate headquarters in Ahmedabad; its press relation agency, Adfactors, operated from Mumbai. "I think it is less of a branding problem and more of a PR (public relations) problem. Adani Group is not talking to the public. Which is, therefore, forming its own opinions about the group, based on media reports," said Prabhakar Mundkur, chief mentor with HGS Interactive, a strategy consulting entity from Hinduja Group. Mundkur adds he is not sure if the group's policy to remain silent on most issues has worked well. "Because it has preferred to remain silent, the silence is being interpreted as guilt. The right thing for the group to do would be to address the doubts of the public. For example, in an open interview with Gautam Adani, who can take on all the questions head-on. Silence is always interpreted as wanting to hide something, therefore only increasing the suspicion," he explains. The group seems to have taken a cue from the same thought process. Part of the new brand strategy would also be to push Gautam Adani as an entrepreneur, according to the source quoted earlier in the story. The usually reticent chairman Adani recently gave a lecture at Delhi University's Shri Ram College of Commerce, on his journey as an entrepreneur. Until the recent past, the group's major presence was across business to business (B2B) segments like power generation, port operations and coal trading. In terms of direct consumer connect, the Adani food brand, Fortune, is a joint venture with Wilmar, and the only business to have been advertised aggressively till now. This is changing, with the company foraying into the real estate and power distribution businesses. In December, Reliance Infrastructure entered into an agreement with Adani Transmission for sales of its entire integrated Mumbai power business for Rs 13,250 crore. The latter business faces competition, as consumers are to some extent allowed to choose their electricity provider. Tata Power is a direct competitor to Reliance Infrastructure, and now Adani Transmission, once the deal is complete.